YahZarah (born Dana Nicole Williams) is a classically trained R&B singer-songwriter based out of Durham, NC. Her stage name, a dedication to her grandmothers Yah and Sarah, roughly translates to ?Queen Mother is the brightest star? in Arabic. Born and raised in Washington, DC, YahZarah started singing at the age of 7 in her church choir. Her love for performance began after winning a youth talent search at the Kennedy Center at age 10. After years of honing her talent in churches, talent shows and local concerts, she entered high school at DC's prestigious Duke Ellington School of the Arts. Born and raised in Washington, DC, YahZarah started singing at the age of 7 in her church choir. Her love for performance began after winning a youth talent search at the Kennedy Center at age 10. After years of honing her talent in churches, talent shows and local concerts, she entered high school at DC's prestigious Duke Ellington School of the Arts. Upon graduation in 1997, she was accepted to North Carolina Central University in Durham on a full scholarship to the school's jazz program. In 1998, she left NC Central and began touring as a background singer for Erykah Badu. 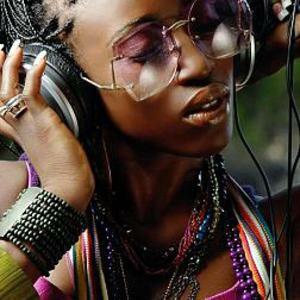 While touring, YahZarah contributed background vocals and vocal arrangements to Badu's platinum-selling ?Mama's Gun? LP, and was featured in the video for the album's lead single, ?Bag Lady.' In 2001, she left the Mama's Gun tour and released her debut album ?Hear Me? on the KEO Music label. A follow up LP, 2003's ?Blackstar,? was issued on the Three Keys label and reached #44 on Billboard's Top R&B/Hip Hop Albums chart. 2004 found YahZarah reuniting with longtime collaborator and fellow NC Central classmate Phonte Coleman (Little Brother, The Foreign Exchange) for a series of crucial guest appearances. With the release of The Foreign Exchange's debut album ?Connected,? YahZarah was featured on the lead single ?Sincere.? The following year she appeared on Little Brother's ?Minstrel Show? LP (Atlantic Records), and was featured on the debut single ?Lovin It.? She later contributed two vocal performances to The Foreign Exchange's GRAMMY-nominated ?Leave It All Behind? LP in 2008. That same year, she released an EP of new material entitled ?The Prelude.? To support the EP, she toured nationally and internationally with artists such as Chaka Khan, Musiq Soulchild, The Roots, Rahsaan Patterson, and R. Kelly. YahZarah's latest album ?The Ballad Of Purple Saint James,? is scheduled for release in May 2010 on the Foreign Exchange Music label.